You would like to enjoy the extra cooling of ice in your bong, but you are afraid of cracks due to the twirling cubes? Here is the solution. Use the Ice Wise Platform and turn your bong into an ice bong for little money. 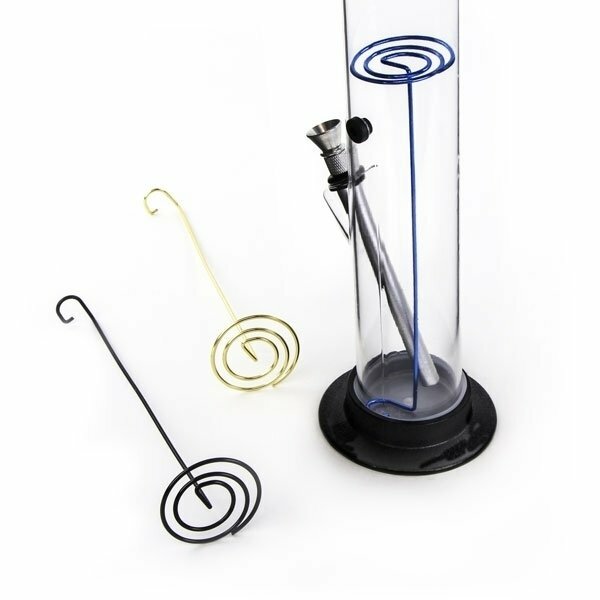 The spiral is wear-free and can easily be bend to size if the bong is too big or small. The perfect bong diameter is between 40 and 60mm.